Wayne's Take: My German heritage makes me proud. My German heritage makes me proud. While much of the rest of the world says it is to hard, to expensive or not even possible Germany is doing it. What are they doing you ask? Converting over to renewable energy sources like wind and solar. They are doing it at a very nice pace to. They are putting the change ahead of corporate greed. They are giving control back to the people. 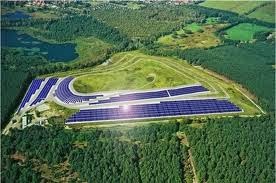 For those of you that don't know Germany has a big push and big incentives for people to do things like install solar panels. There are many people that take out loans to install solar systems that end up not only providing all the power needs for those people but also produces enough excess power to actually pay for the loans and maintenance of the solar power systems. This makes me think about the Berkeley professor that redid his house to use more efficient lights and appliances and at the same time install a solar panel system. The professor paid for the entire conversion by adding on to his existing home loan. The money the professor saved by going off the grid was more then the increase in his mortgage payment. It can be done if people want to make the effort. Back in July Germany produced over 5.1TWh of power via solar. 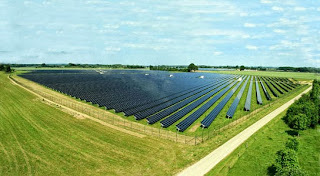 This broke the record of renewable energy generation previously held by wind turbines of 5TWh. Germany is looking to get 80% of its energy needs from renewables by 2050 and at this rate Germany will have no trouble not only meeting that goal but exceeding it. So successful is the German model that corporations that own old fossil fuel power plants are trying to threaten to leave Germany. To me that is a bit like a bully threatening a little kid that they'll to go to another school and beat up someone else. The fact that these corporations are having a hard headed approach to changing to the markets is very telling. This is all something that the USA should have been doing back in the late 70s and early 80s but oil corporations lobbied the Reagan administration hard and not only put a stop to changes President Carter put in place but even had solar panels removed from the White House. Carter said the following "a generation from now, this solar heater can either be a curiosity, a museum piece, an example of a road not taken, or it can be a small part of one of the greatest and most exciting adventures ever undertaken by the American people; harnessing the power of the Sun to enrich our lives as we move away from our crippling dependence on foreign oil." Well a generation and a half later we are basically at the same point. Obama had panels put back into the White House in 2010. 30 years have gone by. 30 years not completely wasted but not even close to being even partially realised. This revolution can either be one that the USA can be spear heading and profiting from or one that the USA can watch from the side lines and resort to being just another consumer dependent on other countries for the market and innovations. 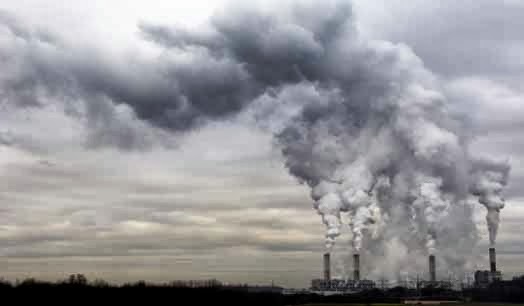 All this is ignoring the benefits of renewable. All I'm saying is that the conversion can be done. It isn't beyond our ability. When people say it is then they are being VERY short sighted and even more ignorant of the reality of the situation. Do you think it can and should be done or are you one of the above? Which of these do you want near your home? Hi Wayne, just over from Facebook. Our drongo of a Prime Minister (of Australia) TONY aBBOTT is busy undoing EVERY renewable initiative brought in by the previous Labor govt (left/progressive). He said climate change is crap and is trying to repeal our Emissions Trading Scheme..